Learn tennis for free during June, 2017. 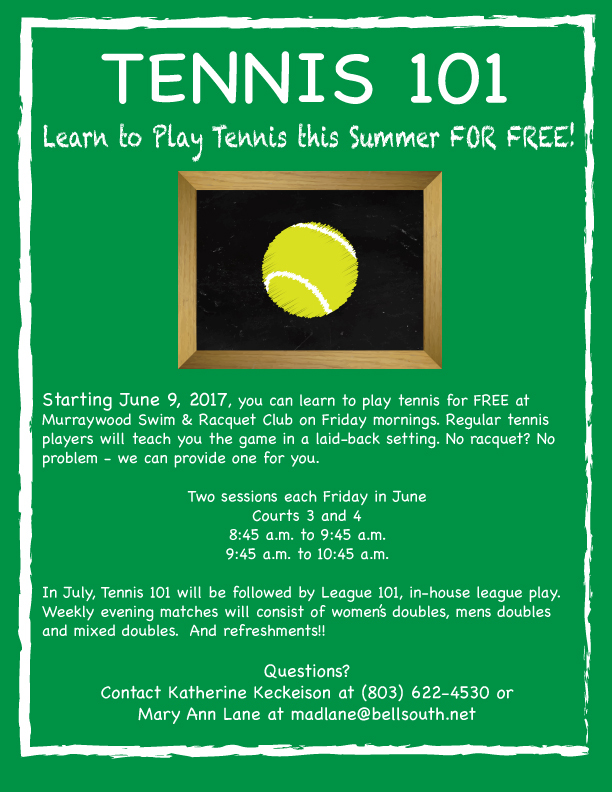 Starting Friday, June 9, join us on Courts 3 and 4 for casual instruction from Murraywood tennis players. Two sessions will be offered, conveniently timed during swim team practice: 8:45am to 9:45 am, and 9:45am to 10:45am.